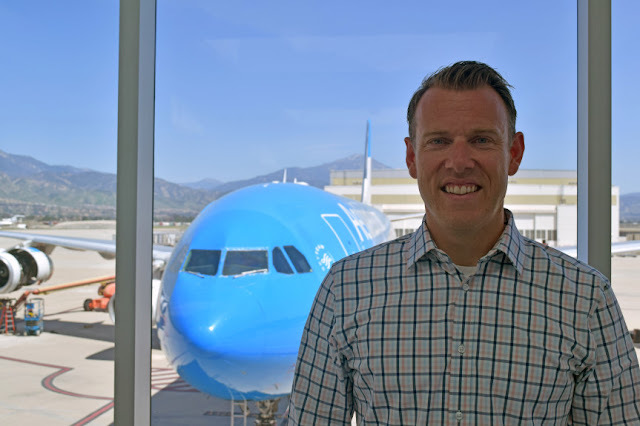 Nikolas Persson has been appointed airport manager at San Bernardino International Airport, officials announced Tuesday, April 3. In his new role, Persson will organize and oversee airside and landside operations and ensure the airport is in compliance with Federal Airport Administration regulations. The 37-year-old will quarterback a team of 29 maintenance and operations employees. Persson, of Riverside, has a decade of experience in airport operations, most recently at John Wayne Airport in Santa Ana, where he led a crew in such day-to-day functions as safety, security, regulatory compliance, facilities management and construction activities, according to a press release. Persson, a private pilot, replaces Liliana Valle, who now oversees Riverside County’s Airport District. San Bernardino International Airport, at 1601 E. Third St., recently announced a three-year partnership with UPS to operate five cargo flights a week out of the airport. The agreement shows both parties’ commitment to daily flights, Persson said.